"I can't enforce my views on other people," said a man who opposes abortion and fought against marriage equality. 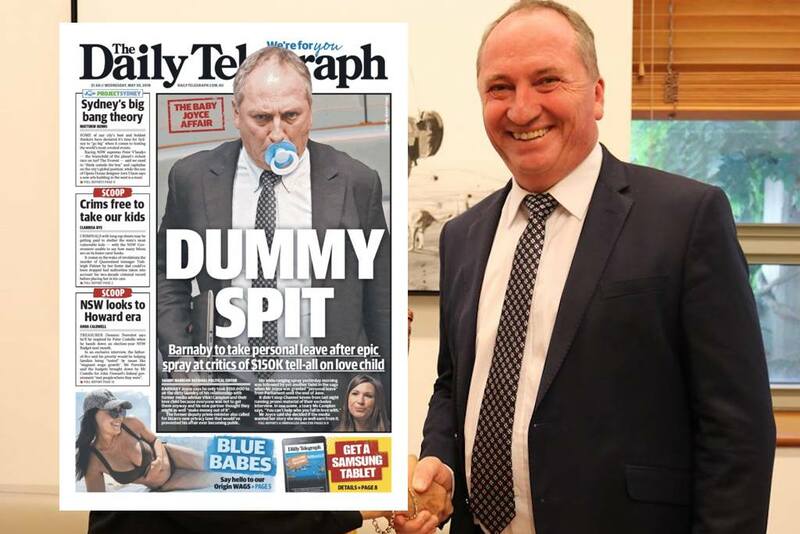 Barnaby Joyce says he realised as soon as his media adviser presented him with a positive pregnancy test that he was going to lose his position as Deputy Prime Minister, but his “pro-life” views meant he could not ask her to terminate the pregnancy. 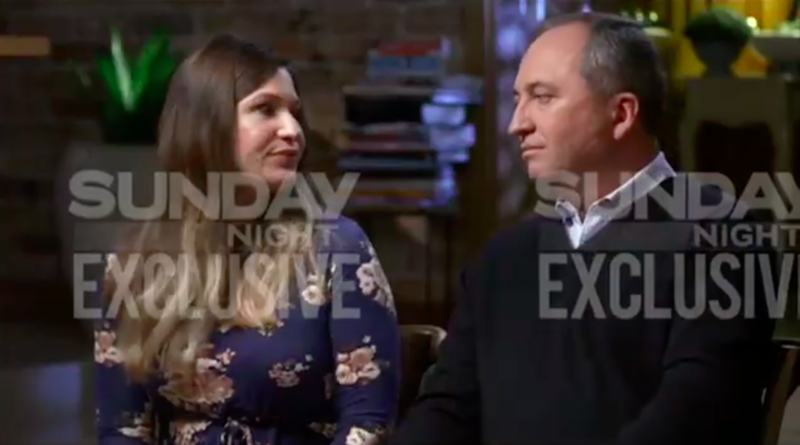 In an extremely gross interview with Channel 7’s Sunday Night — for which the couple was paid $150,000 — Joyce declined several opportunities to address the breakdown of his marriage to his wife of 20 years, Natalie Joyce. But that didn’t stop his new partner, Vikki Campion, from acknowledging that she had had a confrontation with Joyce’s wife in Tamworth. “I can’t repeat the words,” was all Campion would say of the confrontation. Throughout the interview, Joyce and Campion attempted to paint a rosy picture of their relationship, posing for footage as they gave their new son a bath, and attempting to laugh their way through some of the more awkward questions. But the interview turned especially gross when the topic of abortion came up. “I took the pregnancy test and that was it. And we both kind of realised we have a very difficult, complex, journey ahead of us,” Campion told Sunday Night, saying she felt overwhelmed by the thought of what to do next. 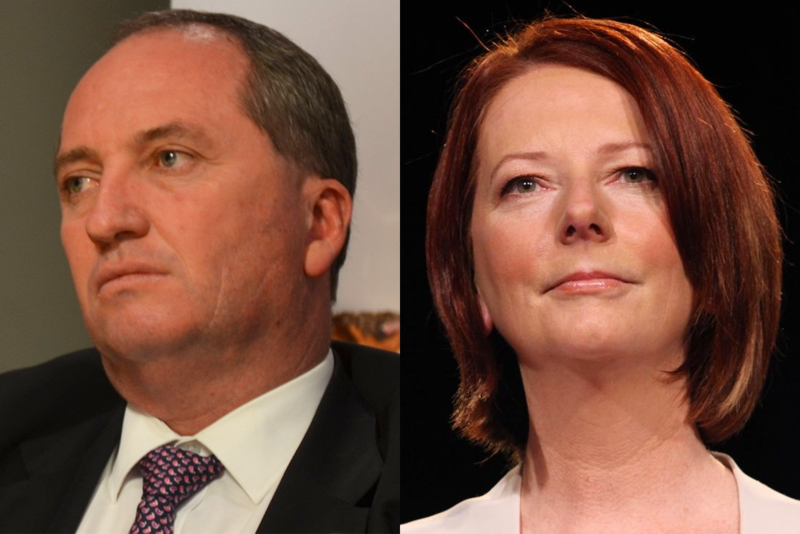 When asked for his first reaction to the news, Joyce said he never considered asking Campion to have an abortion. “I’ll be really frank. I don’t believe in abortion, so I just knew straight away that basically, at that point… I was gonna lose my job as the Deputy Prime Minister. All I was doing is just hoping and praying for a healthy baby,” he said. Campion, who supports abortion rights, said she left the ACT to procure termination drugs, but wasn’t able to go through with an abortion. “Barnaby is strongly pro-life, [but] I believe that a woman has a right over her own body up to a point. Certainly up until the baby has a heartbeat. I thought, ‘Well, maybe I should just take matters into my own hands’,” she said. Campion explained that previous medical issues meant she thought she would never be able to have a baby at all, and that ultimately she couldn’t go through with the abortion, a decision which Joyce said he approved of. “I can understand that people are under incredible, incredible pressure. And Vikki more than most. You know, and I can’t enforce my views on other people,” Joyce said. Joyce opposes abortion and vehemently opposed marriage equality. BJ, please stop pretending you have any kind of moral high ground here. Later in the interview, Campion claimed senior conservative MPs tried to force her to have an abortion. During the interview, Joyce also took a shot at Malcolm Turnbull for his very public smackdown of his then-Deputy Prime Minister’s behaviour. “Generally what happens in these things is you… you admonish someone privately, and you support them publicly. That’s the sort of golden rule. And you know, this was all back-to-front,” said Joyce, as though we should all feel sorry for him. “You can chew out your vice captain in the locker room, but not on the field,” Campion agreed. The interview ended with Joyce cradling his son in Parliament, while quietly blaming the six-week-old for all the trouble. “Boy, [sometimes I] look at Sebastian and think, ‘Boy, man, you caused some problems’,” Joyce said, laughing. You can watch the whole shitshow here.